FREE Projects & Ideas > Print/Solid Color Reversible Fleece Beanie Hat Kit - ships for FREE! 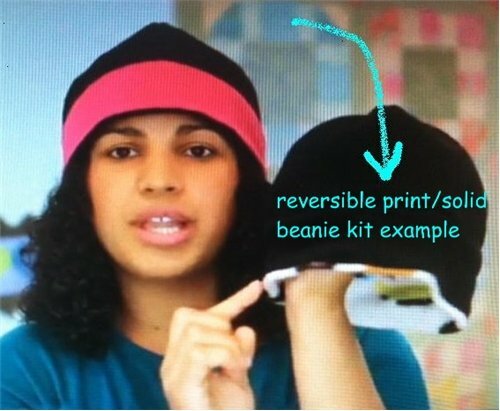 Have you watched our easy fleece hat kit video on you tube yet? The Fabric Diva has partnered up with Crafty Gemini who demonstrates how fast you can sew a reversible fleece beanie for kids or adults. Each fleece beanie kit includes BOTH fabrics needed to make this fun project. Kit includes FREE SHIPPING! Quantities are limited. One kit per order / customer / address / organization. This project requires machine or hand sewing.